Valium or diazepam (generic name) is a prescription drug under the benzodiazepine class. As such, its primary action involves the release of the brain chemical known as gamma-aminobutyric acid (GABA). This brain chemical can naturally calm the nerve activity in the brain and central nervous system (CNS). An increase in GABA levels in the brain can promote sleep, reduce anxiety, and relax the muscles. Thus, doctors may prescribe this drug for anxiety problems, insomnia, and epilepsy. Some doctors may prescribe this medication to ease the withdrawal of alcohol or benzodiazepine drugs. Because the drug’s effects are so strong, it is under the controlled substance category. Furthermore, patients taking this drug may develop drug tolerance and dependence after 2 weeks of intake, which may lead to drug abuse and addiction problems. For these reasons, doctors will strictly monitor their patients’ health condition while taking this drug. The main problem is that some people use this medication for recreational and off-label purposes to get a high or euphoric feeling. Random drug testing is one way to resolve this problem. Today, all institutions and establishments will require drug testing. If you have recently taken diazepam, it is vital to understand the length of time that will take Valium to stay in your body. In addition, it is also helpful to learn the various factors that will influence the timeline, and ways on how to eliminate this substance out of your body. After a person takes diazepam, a saliva test can immediately detect the presence of this compound in the saliva. Depending on the dose and how often the drug was taken, it will last for about 1 to 10 days in the saliva after the last intake. Because excretion or elimination is the final step in the body’s drug processing, the urine test will not immediately detect the presence of diazepam. However, the drug and its metabolites will be traceable in a urine sample for a longer period compared to the saliva. Typically, the urine test can detect the presence of these compounds for about 1 to 6 weeks after your last intake. The body is able to distribute various substances throughout the body because of the bloodstream. As such, Valium will only stay in the blood for a short duration. Typically, a blood test can trace diazepam for about 6 to 48 hours after the last intake. Unlike other body fluids, diazepam and its metabolites can stay permanently in the hair strand. Because of the standard processing regulations, the technician will only test 1.5 inches of a person’s hair strand. Thus, a hair test will only trace the presence of Valium and its metabolites for up to 3 months after the last ingestion. What Factors Will Influence This Length? Before one can eliminate Valium out of their body, the drug must be broken down first. The liver is the primary body organ responsible for breaking down diazepam. For this reason, a person’s liver function can greatly affect the length of time the drug will stay in the body. Various factors can affect the performance of the liver. Certain medical conditions can damage this organ resulting to a longer metabolism process. An example for this is liver cirrhosis. For people with this medical condition, diazepam will stay in their body 5 times longer compared to healthy individuals. A person grows older, their body’s performance starts to decline, mostly because of the natural wear and tear of the body. The elderly, or those aging 65 years old and above will be able to excrete Valium out of their body two times longer than people under the age of 20. A person’s body fat percentage can also affect the length of time for the body to excrete Valium. Typically, the half-life of diazepam is around 30 to 56 hours, meaning it will take that much time to break down and excrete half of the amount of the drug. According to a research, the half-life of Valium is two times longer in people with a high body fat percentage. The metabolic rate of a person can also influence the length of time that Valium stays in their body. For people with a slow metabolism, the drug will stay longer in their system. 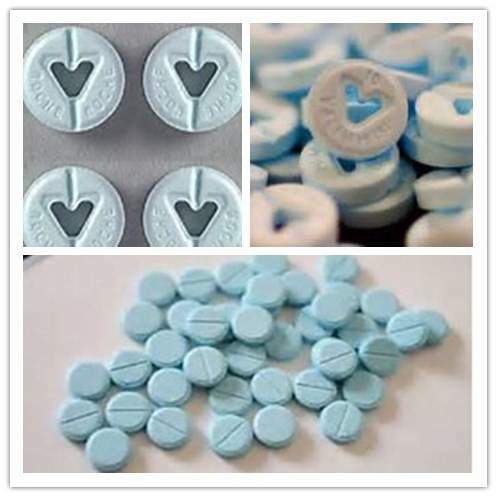 Upon intake, diazepam will undergo various processes before elimination. If you took a higher dose, it will take the body longer to processes the drug. However, if you are taking multiple doses of Valium for a long period, there will be a build-up of the drug’s metabolites in your body. Thus, the drug will stay longer in your system compared to those who took a single dose. How to Get Valium Out of Your System? Continuous intake of Valium will lead to a build-up of its metabolites in your body. The best way to totally get rid of these compounds is to stop taking the drug. However, you have to seek professional help for a smooth drug withdrawal process. Upon discontinuation of diazepam, obese people will have a slower rate of eliminating the drug out of their system compared to those with normal body mass. One method to hasten this process is to burn fat through exercises and other physical activities. The kidneys are responsible for filtering and excreting Valium and its metabolites. One can increase his urinary flow rate through hydration, which will help the kidneys excrete the drug efficiently. Taking supplements that can enhance the performance of the liver and kidneys will greatly speed up the elimination of diazepam. You can also take supplements that can increase the activity of enzymes such as CYP3A4 and CYP2C19. Activated charcoal is another pharmaceutical product you can take. Doctors use this medication to treat drug overdose and poisoning. You can also take it to flush Valium out of your body.